William Parker Henson was born at Stanmore Sydney, on 21 January 1905, son of Eustace H Henson and his wife Isabel (d.1957), née Parker. He died at his Epping home on 21 September 1999, aged 95, and was cremated at the Northern Suburbs Crematorium. William Parker Henson was educated at Newington College, Stanmore. He became a chartered accountant and a member of the NSW Board of the Federal Institute of Accountants from 1942. He was president of the Australian Society of Accountants from 1953 to 1954. He was a senior partner in Henson Gates & Co. He was also managing director of William Andrews Printing Co Pty Ltd and Director of Howard Auto Cultivators Ltd and Gosford Quarries Pty Ltd. From 1905 to 1930 he lived at Marrickville. Henson was an executive member of the Constitutional Association and Secretary of the NSW Health Week Committee. At his death, it was requested that donations be sent to the Royal Blind Society. William Henson was Alderman for Fitzroy Ward, 2 December 1944 to 31 December 1948, for Macquarie Ward, 4 December 1948 to 1 December 1950, for Fitzroy Ward, 2 December 1950 to 4 December 1953, for City Ward, 5 December 1953 to 4 December 1959 and for Gipps Ward, 5 December 1959 to 30 November 1962. He was a member of the Finance Committee, 1945-59 and its Vice-Chairman in 1948. He also belonged to the City Planning and Improvements Committee, 1945-48 and 1949-59, the Health and Recreations Committee, 1948 and 1960-62 and the Works Committee, 1960-62. 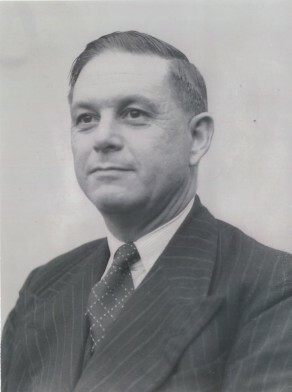 Henson was elected Councillor in the Sydney County Council, 1946-66 and served as Deputy Chairman in 1948 and 1956 and Chairman in 1950.